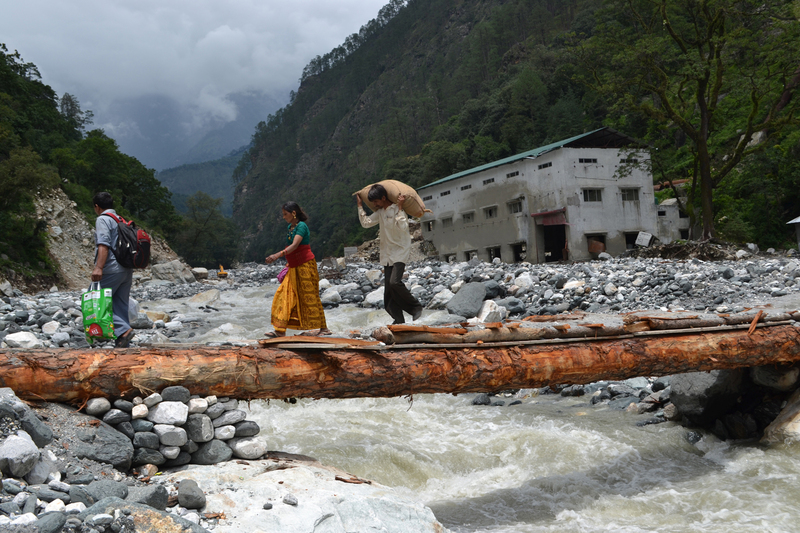 The devastation caused by torrential rains that lashed Uttarakhand in Himalayan India earlier this month is expected to cause a loss of Rs 12,000 crore to the state’s tourism industry in the current fiscal, says a PHDCCI survey. “Uttarakhand was expected to generate Rs 25,000 crore from tourism in 2013-14. Although Rs 5,000-6,000 crore have been generated from the first three months alone, the state is expected to realise only Rs 5,000-6,000 in the coming months as major tourism destinations have been washed away by recent floods,” SP Sharma, Chief Economist at the PHD Chamber said quoting the survey. Tourism sector contributes 25 to 30 per cent of the state GDP, and therefore the state exchequer is likely to take a major hit, Sharma added. The survey conducted by PHD Chamber of Commerce and Industry also estimates that around 11 per cent of Uttarakhand’s Gross State Domestic Product (GSDP) for this fiscal has been ruined in terms of prospective tourism earnings on account of the flood in all its riverbeds. “GSDP of Uttarakhand at factor cost at current prices stands at about Rs 1,07,548 crore as on March 31, 2013. However, 11 per cent of the GSDP has been washed away in terms of prospective tourism earnings due to floods that engulfed the state in mid of this month,” Executive Director at PHDCCI Saurabh Sanyal said. Moreover, the reconstruction of damaged tourist destinations are expected to put a burden on the state government, the survey said.